Ensure that the steering wheel is set in a straight ahead position. Loosen the tie rod jam nut (1). 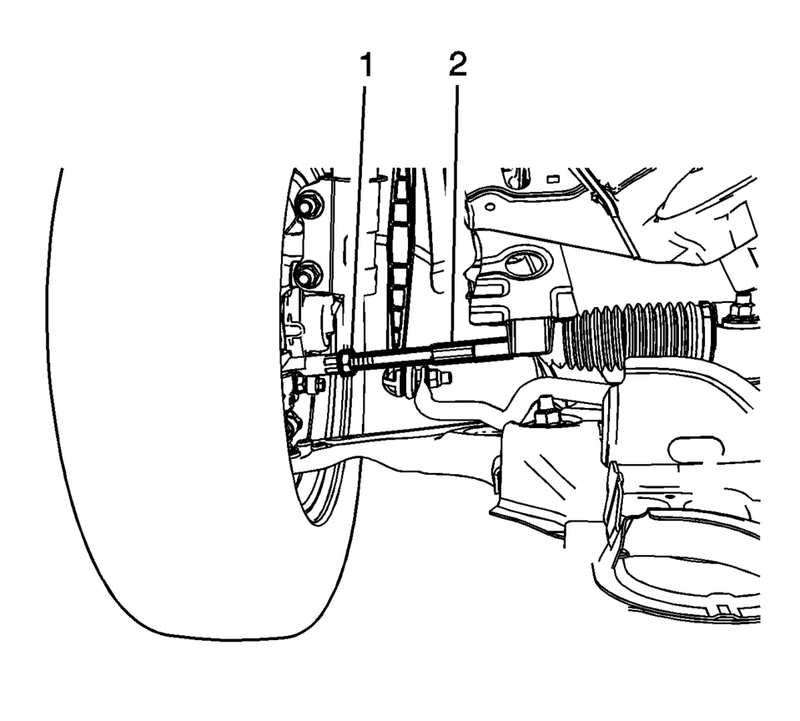 Adjust the toe to specification by turning the inner tie rod (2). Refer to Wheel Alignment Specifications.